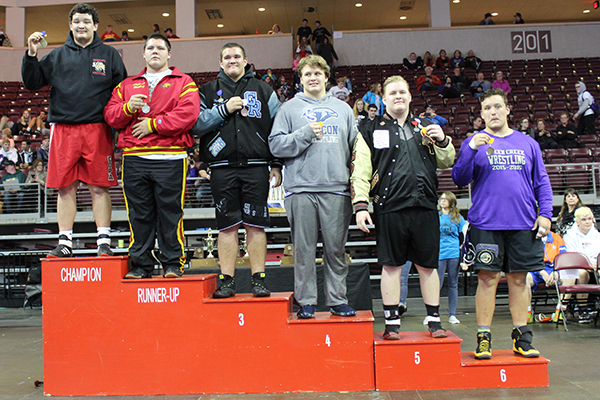 Two Maricopa High School senior wrestlers made it to the state championship tournament on Saturday, and one took home a first-place medal. Senior heavyweight Dakota Halverson had a total of four wins by pin in the 285-weight class of Division II, becoming the first Maricopa Ram state champion under their new coach’s guidance. Senior Louis Alvarez also wrestled well at the tournament, Head Coach Eric Fierro said, though he lost two matches back to back. Fierro said Alvarez may have even had a chance at placing if it weren’t for his first loss, which seeded him against a tough opponent in the consolation bracket. 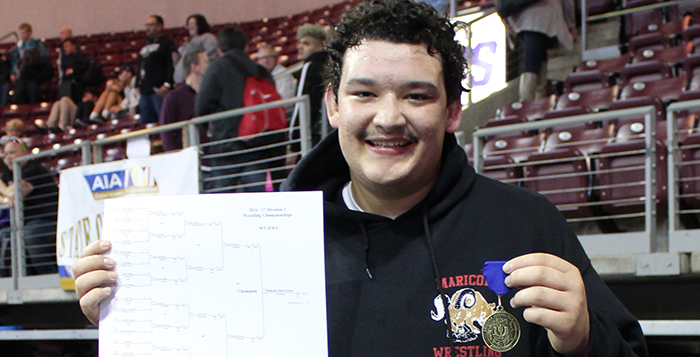 Nonetheless, Fierro is elated to see two of his wrestlers as state contenders, and is even more excited that one brought home the gold. In the championship bout, Halverson defeated his opponent Isacc Marroquin of Chaparral one minute and eight seconds into the third round. Overall, Fierro said, he’s happy with the progress his team has made and he looks forward to next year. 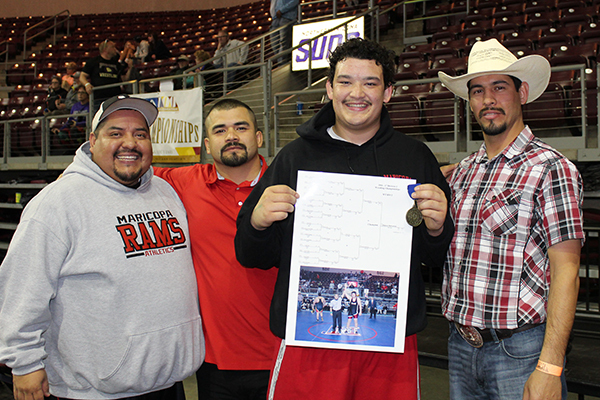 In the meantime, after a short break, Fierro will continue coaching at the middle school level in March, and, later this summer, he plans to take some of his wrestlers to several tournaments and camps around the state.